Cartwright Landscaping is a full service, landscape design and installation company equipped to address all landscaping projects. 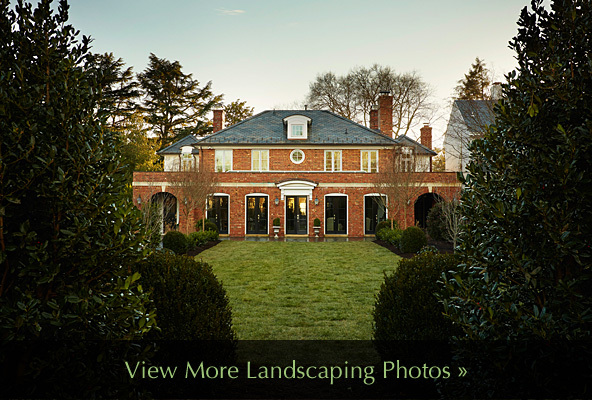 At each stage of the process, you’ll work closely with owner, Virginia-certified horticulturalist and landscape designer Jeff Cartwright to maximize the potential of your landscape investment. If you’d like to discuss your plans for an outdoor space, contact us to schedule a convenient time to meet with owner Jeff Cartwright. 1 You’ll meet with Jeff to survey your property, and discuss your goals, ideas and concerns for your project. This insight will allow Jeff to propose ways to improve your outdoor living space. 2 Our design process is aimed at providing you a comprehensive plan for your new landscape with as much detail as necessary. Before any substantial landscape installation, clients are strongly encouraged to take an Educational Nursery Tour with owner, Virginia-certified horticulturist and landscape designer Jeff Cartwright. As you walk the grounds of the area’s largest nursery, you can see the wide array of shrubs, trees, ground covers and flowers that thrive in Richmond’s climate, and understand what will work well in your yard. You’ll gain design ideas and insights into your landscaping options, and discuss the conditions necessary to maintain plant and tree health, all of which will be applied while creating your personal landscape design. Following the tour, you’ll receive photos and descriptions of plantings you admired, with suggestions for additional plants for full sun, full shade or somewhere in between. 3 After the tour, Jeff will revisit your property to discuss options and determine whether parts of your current landscape may need to be removed to make way for your new plantings. Removal might include simply cutting brush and digging out plant roots, removing large trees and grinding stumps and large roots, or possibly converting an old hardscape and current planting beds to grass. The current landscape and our combined vision for your new landscape will dictate the scope of the removal process. 4 Once the areas to be landscaped are cleared, together we’ll determine the shape of the new beds relative to current and planned future landscaping. Using a long rope and spray paint, we’ll contour and mark where each new bed will meet the lawn. With sharp, heavy duty edging shovels, we’ll create a clean, streamlined “hard edge” where the grass meets the planting beds, leaving a three-inch deep trench to act a catch basin, preventing mulch or pine straw from spilling onto your grass or hardscape and from interfering with line trimming upkeep. Once the beds are formed, we’ll till the areas to loosen the soil. This promotes soil health by mixing up nutrients and allows new plantings to root easier. During installation, we’ll amend the soil in your planting beds with a combination topsoil and organic, nutrient-rich compost to ensure the best possible soil for the long-term health of your investment. 5 To ensure your complete satisfaction with our work, we’ll stage the entire landscape and get your input on the final layout prior to installation. We’ll shift plantings to achieve the best spacial arrangement of current and new shrubs, trees, and other plantings. Only with your approval we’ll commence installation. 6 Watering a new landscape is an absolute necessity to its long-term survival. At the conclusion of your project, you’ll receive detailed instructions on how to best care for your investment. We offer full-service landscape maintenance plans to keep your new landscape healthy and well-manicured.